As soon as I spotted the white version of this adorable little wicker bag, I instantly needed it, yet I refrained from purchasing. So then what happened? You guessed it, it sold out and I had a major case of non-buyers remorse (totally a thing). So whilst checking the Zara site daily for any hopes of the white bag, a pink version appeared! It’s almost as if the Zara Gods were like um no Catherine don’t buy the white bag because if you wait patiently we might drop a pretty pink version which you’ll probably need instead. It has such cute, Summer picnic vibes and I adore it! Aren’t we having the best Summer for years in the UK? I mean I’d hate to jinx anything but we’ve actually had about a month of hot weather, as opposed to our usual one weekend worth, and I’m totally okay with that. I’ve been living in cute little denim skirts and I love this one from Topshop with the pretty lace detailing and frayed hem. I also have my eye on this similar floral embroidered skirt, so pretty! I used to be a huge fan of lip gloss before the whole matte liquid lipstick trend became a big deal, and even though I’ve dabled with them, I’m just over it. I’d rather have a glossy, healthy pout than one that looks chapped and screaming out for a bit of Blistex at the end of the day. So I’ve totally fallen back in love with lip gloss including an old favourite from Lancome. It’s an almost clear shade, with a slight milky tint, and just makes your lips look so lovely and full! Plus the curved doefoot applicator on it is a cushiony dream to apply! There’s something about Summer that makes aall the shimmer completely acceptable, so why not douse yourself in it? The Summer Rose Shimmer Body Oil is a lightweight oil which not only provides much needed moisture to the skin, but also leaves behind a subtle shimmery trail that makes you look sun kissed and glowy. 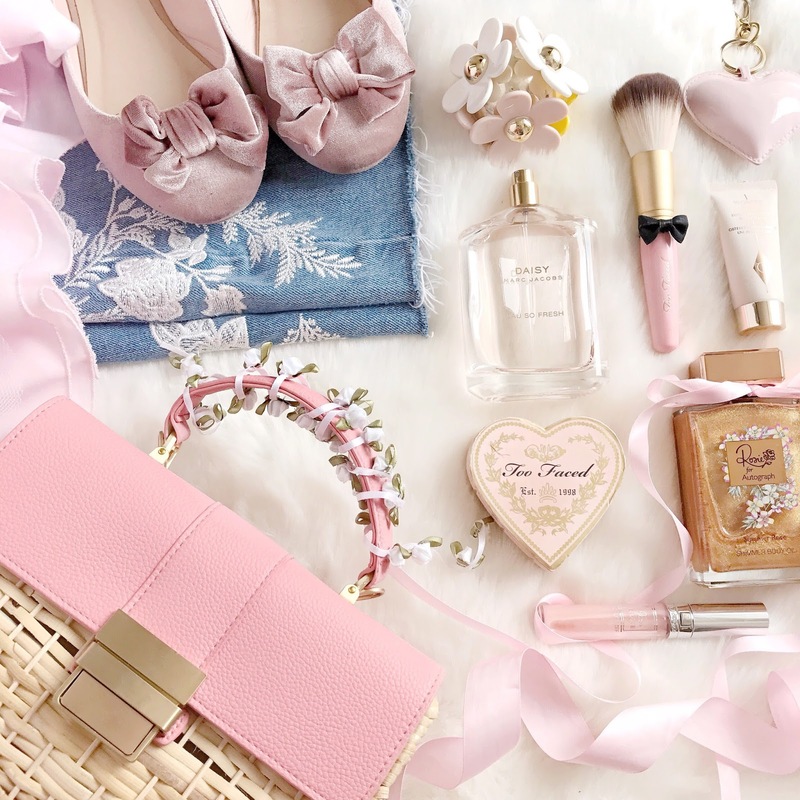 It has a gorgeous airy, rose scent with a fruitiness to it, which smells so Summery and feminine. I’ve also been dying to try out Rosie’s new bath and body range, both the Shower Elixir and Divine Body Cream sound insanely good. When I’m not obsessed with all of the Chloe perfumes, it’s this one that I reach for. 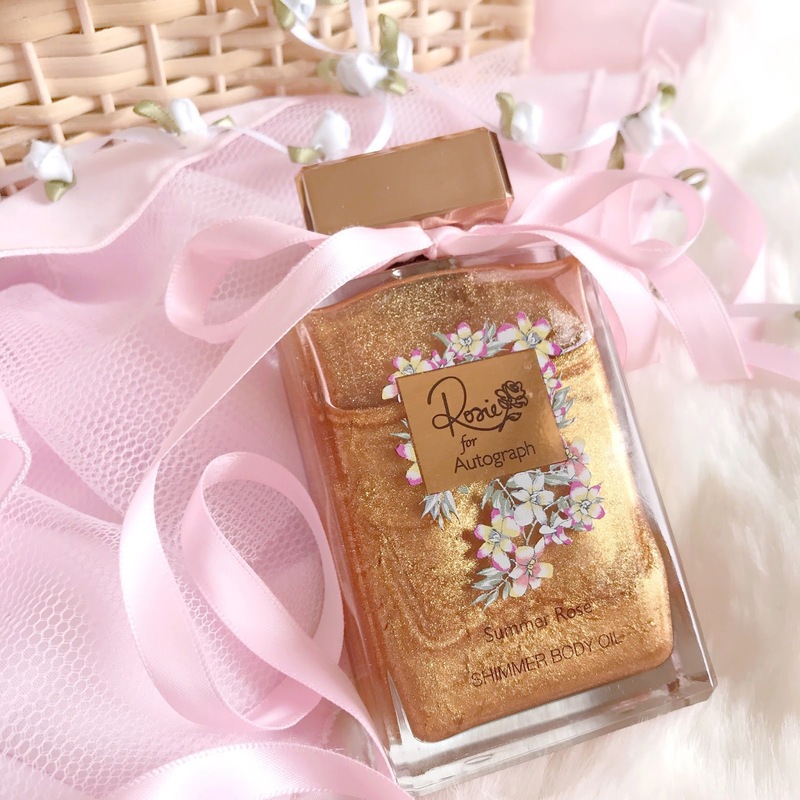 It’s such a lovely, girly, floral scent which smells super fresh and light. I bought it in the airport before my holiday last year so the scent always reminds me of Summer. I went as far as to say on Twitter, that this little gem might possibly be my favourite makeup product ever! I know, that’s a bold statement that I’m not sure I’m ready to commit to, but there I said it anyway. It gives such a gorgeous lit from within kind of glow, without any sparkles or greasiness, and just makes you look super radiant and healthy. Whenever I use it it preps my skin and makes my foundation apply *so* much nicer too! It’s l.o.v.e. 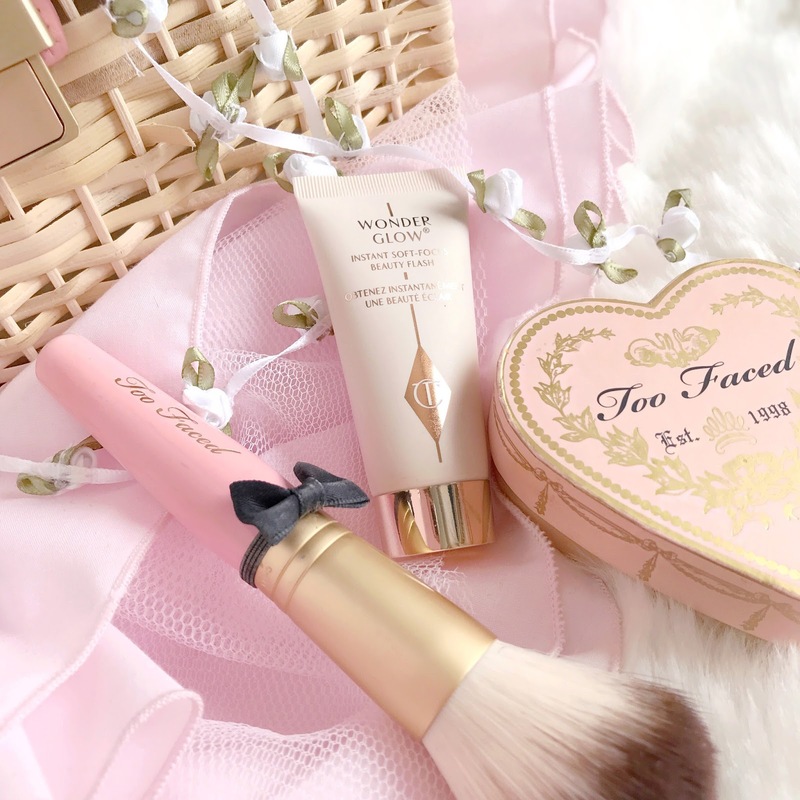 An old classic, but a perfect Summer choice, is my little heart shaped Too Faced blush in Candy Glow. It’s a baked blush with three different pinky peach shades running through it, which when swirled together give a dimensional, healthy glow and a gorgeous pop of colour to the cheeks. What are you Summer favourites? wow, i'll have to give the wonderglow primer a whirl!